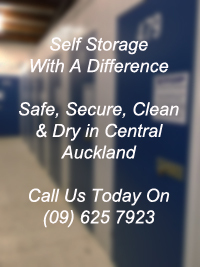 Access Ezy self storage units offer high tech electronic security for households, businesses and students for short or long term storage. Call Today (09) 625 7923. 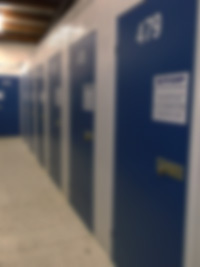 Indoor storage provides the best security. You select your own 4 digit pin code for access to your own unit or units. The building alarms are monitored. The buildings are modern substantial, brick and concrete. When you rent a unit you are issued with a special PIN code number of your choice, could be your birthday, wedding anniversary date etc. YOU also supply our own padlock and key – you store your goods and lock your unit - you keep the key - when you leave your unit, your unit will then be protected by our high tech computer controlled electronic alarm system against any attempt at unauthorized entry. When you wish to access your unit, you simply enter your PIN code number, which de-activates the alarm system and allows you free access to your goods. In addition to the individual unit security system during the period the building is closed, the whole building has an elaborate monitoring system to guard against intruders and fire, this system is directly connected to a security firm supplying continual monitoring service.